Why we can’t wait to return to the Metro. When gaming is so dominated by blockbuster shooters, it’s often tricky for a series like Metro to stand out. 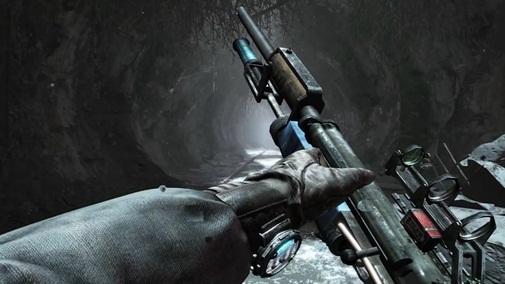 Metro 2033 didn’t have the technical polish to rival the likes of Call of Duty and Halo, but it had a much more involved story and an atmosphere that put most other AAA titles to shame. We can only hope that the upcoming sequel will also offer this same sense of immersion. We’re already pretty excited about it but, just in case you’re still cynical, here are ten reasons you should be looking forward to Metro: Last Light. It’s an obvious point but, seeing as how the original was a pretty good game, it stands to rights that Last Light will follow in its footsteps. Yeah, there was some issues with Metro 2033, but it had more creative design elements than most of the 2010 catalogue put together. If Last Light keeps these going (and early previews indicate that it definitely will) whilst simultaneously rounding out its corners, it’ll have game of the year written all over it. 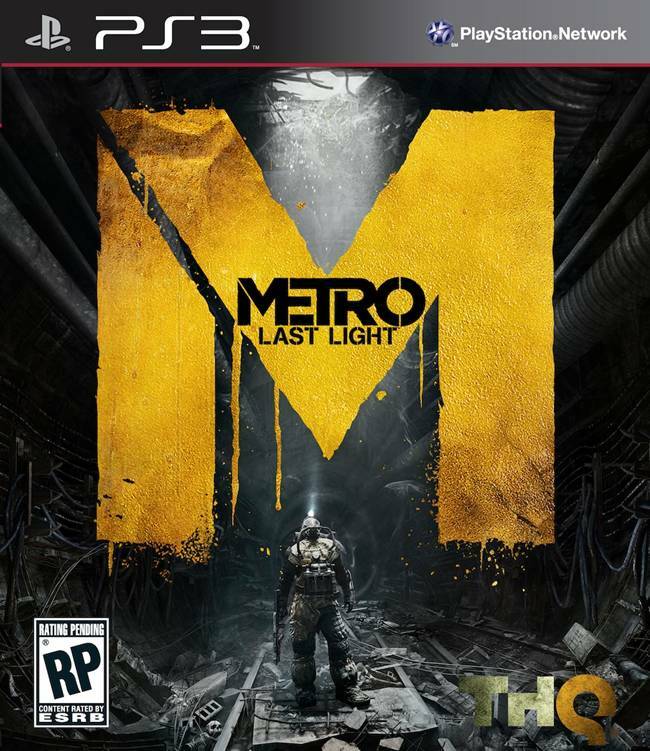 Though the post-apocalyptic world is a very well worn trope these days, Dmitry Glukhovsky’s Metro novels managed to handle it with a certain panache that translates perfectly to Metro 2033 and Last Light. Just take the Venice level seen in previews for example. Far from the idyllic canal-centric city in north Italy, Metro’s Venice is an underground sewer chasm based around walkways suspended over toxic ooze. It might not be conventionally appealing, but there’s a certain ominous sublimity to the world of Metro that makes a nice break from the usual brawny khaki clad soldiers seen in stereotypical FPS games. A subtle approach was always welcome in Metro 2033, but unrealistically aware AI made it near impossible to stay hidden for long. 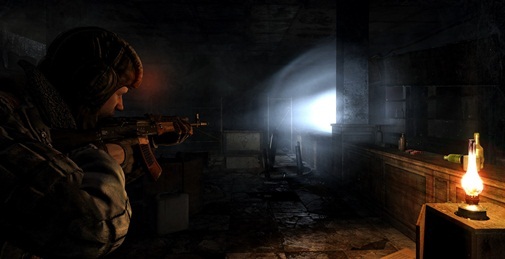 Far from the all-seeing eyes of Metro 2033 AI, Last Light will supposedly sport more realism in how enemies detect threats in their environment. Artyom is also now more capable of distractions than ever before, with the opportunity to remove circuits and bulbs from light arrays in order to cause convenient distractions.